IFWG would also like to acknowledge the wonderfully evocative cover art and design by Steve Santiago, a respected artist, well known in weird, Lovecraftian circles. 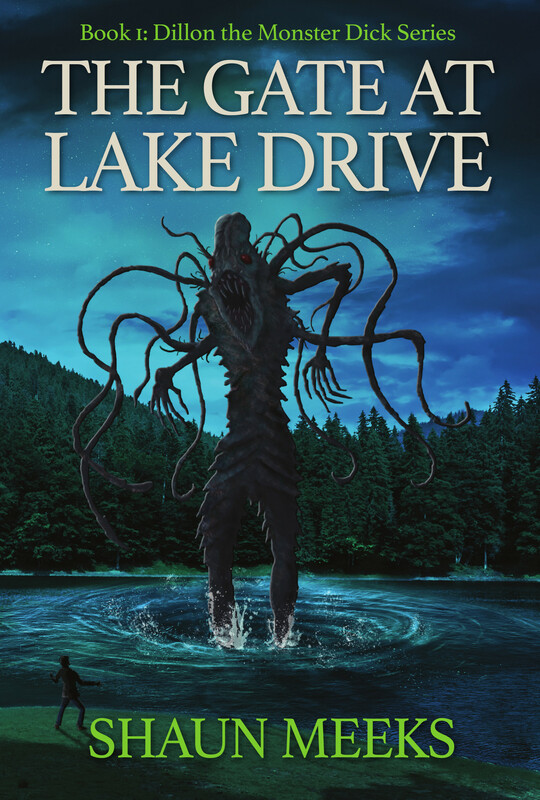 The Gate at Lake Drive is currently available in trade paperback format via this page, and will soon be available through all good online retailers, (but now at Amazon). The ebook version will be released very soon. This entry was posted in News, Title and tagged dark fantasy, detective, horror, lovecraftian, new release, shaun meeks, the gate at lake drive, weird by Gerry Huntman. Bookmark the permalink.